Answers to your most common questions about international adoption. Start here! International adoption began after World War II, when small groups of war orphans from Europe and Japan were brought to the U.S. Numbers grew after the Korean War, with the adoptions of Korean orphans and Korean-American babies (children of Korean mothers and American soldiers). The Vietnam War brought another bump (including over 3,000 children brought out in “Operation Babylift” as the war came to an end). In 1992, the Chinese government authorized international adoption; China became the top “sending country” for the U.S. In recent years, adoptions from Latin America and the former Soviet Union have also increased. Most countries in the Middle East, Africa, and Western Europe forbid international adoption of their children, as do Canada and Australia. Other countries that don’t specifically forbid adoption can make it next to impossible, either by requiring long residence by the adoptive parents, or simply by not having an organized adoption system. No foreign country has official rules about the race of adoptive parents, but some Asian and Eastern European countries actively discourage adoption of their children by African-American parents. If this is your first adoption, choose a country with a long-standing, stable adoption process, and work with an agency licensed by the U.S. and by the sending country. International adoption can be complicated enough; don’t add extra uncertainty to the process. How do children become available for adoption in other countries? We think of orphans as children whose parents have died, but, in fact, the law (international and U.S.) defines an orphan more broadly: one who has lost his or her parents through death, abandonment, or surrender. Most of the children in foreign orphanages have been brought in by parents who are ill or desperately poor; others have been abandoned and are brought in by extended family members, neighbors, or the police. In some countries, where there is no formal process for surrender, parents may “abandon” a baby, or even fake their own deaths, in order to gain the child a safe home in an orphanage. Both parents have died or disappeared, or have abandoned the child. One parent has died or disappeared; the remaining parent has released the child for adoption and emigration. Both parents are living and identified, but they cannot care for the child, AND they have released the child for adoption and emigration. If a child does not meet these criteria, he or she may not be allowed to immigrate to the United States—even after being adopted abroad by American parents. What countries should I consider? While your child will become a U.S. citizen with adoption, his or her birth country will also become a part of your life. You will want to learn about the country so that you can answer your child’s questions; you may visit—to adopt, and, perhaps later, with your child. So, it’s sensible to pick a country to which you have some connection. Do you have friends or family from a sending country? Do you speak the language of a sending country? Have you ever visited a sending country? Which countries have healthy children? The country of a child’s birth is far less important than the circumstances: A perfectly healthy baby can be born into appalling poverty and chaos. 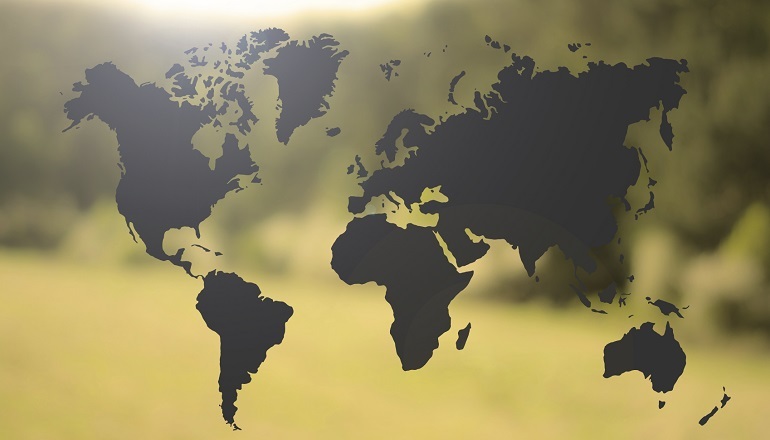 However, in choosing a country, it’s worth finding out as much as you can about the most common health problems, and about the kind of medical records provided for adoptees. Some children (from South Korea, for example) arrive with detailed, accurate histories; others come with one, unreliable sentence. If more information will make you more comfortable, factor this into your choice of country. Which country has the easiest process? One of the reasons China has been the most popular sending country since the early 1990s is its process, notably organized, transparent, and predictable. In general, countries that control adoptions through a centralized government department (like China’s Center of Adoption Affairs or Ethiopia’s Ministry of Women’s Affairs) have more predictable timelines. In countries where adoption runs through local attorneys or disparate agencies, it’s much harder to predict your wait time.Countries sometimes close or suspend their adoption programs. When you choose an adoption agency, pick one that works in more than one country; it will make it easier for you to switch, if necessary. How do I bring a child into the U.S.? Can I adopt a child from a war zone or a natural disaster? Whenever a foreign war or natural disaster is in the news, would-be parents want to open their homes to affected children. However, United Nations policy (followed by the U.S. government) does not permit adoption from countries in a state of war or disaster. Families who have been torn apart need every chance to reunite. Merrily Ripley, founder and director of Adoption Advocates International, in Port Angeles, Washington, and adoptive mother to 17 children, says: “Parents shouldn’t adopt only to save a child from a life of poverty, but, for most folks, there are multiple reasons they adopt. Concern for others can be one of them.” Some day, your child will want to know the details of the adoption. You will want to be able to tell the story with pride. How do I make sure my adoption is ethical? Periodically, there are media stories about baby selling, child abduction, and other adoption scandals. Sometimes countries close down adoptions because of corruption. In other cases, the U.S. stops processing orphan visas from individual countries because there is evidence that children were bought or stolen from their birth families. As in a domestic adoption, parents adopting internationally have a responsibility to ensure that the birth family’s rights are respected. For everyone’s sake, you will want to confirm that the child was surrendered knowingly and voluntarily by the birth family. The Hague Adoption Convention (formally the Convention on Protection of Children and Co-Operation in Respect of Intercountry Adoption) is an international treaty to improve accountability, safeguards, and cooperation in inter-country adoption. Since it came into effect in the U.S. in 2008, its terms govern any adoption from any of the 75-or-so signing countries. The Convention safeguards include: mandated home studies for adoptive parents, prohibitions on inducements to birth parents, and prior approval for children to emigrate to their new countries before their adoptions are finalized.